Fish & chips, delicious, nutritious and close to the nation’s heart! Fish and chips are popular at celebrity weddings & parties. Fans are rumoured to have included Steven Gerrard, Alex Curran, Wayne Rooney, Coleen Mcloughlin, Myleene Klass, Graham Quinn, Simon Cowell, Gary Barlow, John Terry, Toni Poole, Dave Gardner and Davinia Taylor to name but a few! Organising and choosing your wedding or event catering, and caterer, can be a daunting task for even experienced event coordinators. 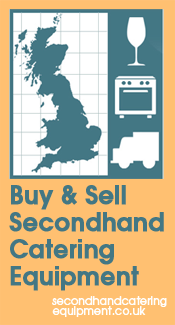 Reliability, consistency and quality are the qualities that have made us the most popular outside catering businesses covering 14 counties across the Home Counties, South, South East, London, the West Country, Birmingham and Manchester. We take the hassle out of choosing your wedding catering. Wedding Fish & Chips is still the country’s favourite food. Reports that Britain's favourite takeaway food has had its chips have been greatly exaggerated. In fact, it's battering the competition! A few years ago we supplied our services on the River Cottage film set in London supported and attended by Hugh-Fearnly-Whittingstall and Jamie Oliver. Both TV celebrity chefs were part of a successful campaign to end to the immoral waste of hundreds of thousands of tonnes of fish including cod, haddock, plaice, and many other well known species caught and thrown back into to sea around the UK coast. Hugh’s Fish Fight campaign was ultimately successful in changing European Union policy. We are situated near the coast and often privileged to receive fresh caught fish straight off the fishing boats, enabling us to serve the freshest wedding fish & chips you have ever tasted. We can offer 13 varieties of fish including cod, haddock, hake, butterfish, plaice, lemon sole, monkfish, pollack, halibut and rock fish. The quality of providing wedding fish & chips vary depending on many factors which range from the grade, freshness of the cooking oil, and if the cooking medium is filtered reguarly. We use the best cooking oil and best fish available. The freshness of fish also plays a key role in the finished product, whether or not the fish is ‘pin boned’, scaled, or skinned. Fish caught hundreds of miles of the coast are can be good quality, but not as fresh as line caught fish off the South coast. Similarly, the quality of the chips comes from knowing which potatoes to use, what size to cut them, how long to blanch them for, the freshness of the cooking oil or dripping. All those key factors and experience will deliver the best wedding fish & chips you have tasted. Selecting the right chipping potatoes is a science. The correct content is of water in the potato will give a great chip. We use various potato merchants, one have trucks which have Eat More Chips� as their logo, you might have seen them on the road and chuckled to yourself. A portion of chip shop chips contains less fat than a prawn mayonnaise sandwich. In fact a new study out says that eating more chips can help fight cancer because chips contain high levels of vitamin C. Our chips are cooked twice, first on a low temperature which keeps them soft in the centre; and then on a higher temperature to make sure that they are crispy and golden on the outside. We use the latest fryer technology which are designed not to burn the cooking oil or burn the fish scraps. The key to perfect wedding fish & chips is fresh filtered cooking oil, fresh fish, and freshly chipped potatoes. I recently called into a take away and ordered cod and chips which had been cooked and ready in the scuttle. The fish had been frozen (we can tell), the batter was like a coating of spongy rubber that had soaked up copious amount of cooking oil. The oil had clearly been contaminated by cooking all and sundry in the same old oil…..very disapointing! All those factors are classic examples poor quality food, lack of skill and care. Vegetarians alternatives are available to wedding fish & chips which are obviously vegetable based products. Currently we are supplying Water Cress Sausages direct from the Alresford Watercress Beds. The ability to cook and serve the best wedding fish & chips depends on using our in house resources and experience . For example we would require enough space to work in. Normally 150sq ft or 4.5m x 3m this would allow us to set up our fryers and get organised ready for a busy and organised service. We use a mobile fish and chip van, trailer, or set up a field kitchen which takes just 60 minutes or so before we are ready to cook. Having years of experience and cooking for thousands of guests simultaneously with a hand picked team has given me the ability to deliver on time every time. Recently I was chosen to work with TV chef Brian Turner high volume (840 guest promotion) to help save the diminishing British Pig Farming Industry. That has placed us firmly at No.1 in the UK for reliability and experience in the high volume sector. Subsequently have been chosen to support James Martin, Heston Blumenthal, Hugh Fearnley-Wittingstall, Jamie Oliver, Gordon Ramsay, and Claude Bosi either with catering services, equipment, or as a specialist sub contracted caterer.